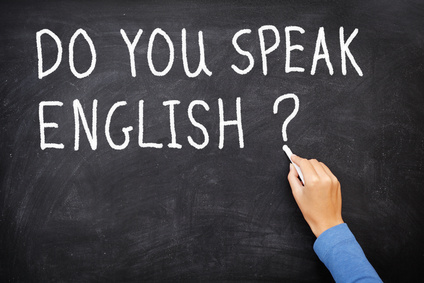 Most parents don’t know how to start teaching kids English. The reality is that it doesn’t matter if your English skills are perfect or not, the most important thing is encouragement and praise. Children need some time to absorb language so be patient. Repetition is essential as children need to hear words several times before they are ready to say them. Short frequent learning sessions are better than long infrequent ones. Young children need nothing more than 15 minutes of learning a day. You could read a story or play a game. If you have enough room in your house, create a learning space so that your child knows what to expect when they get in that area. Children learn when they are having fun. There are several different types of games you can play with your children that teach them vocabulary. Everyday situations and real objects are great for teaching kids English in context. Teach children about clothes while they are getting dresses or sorting laundry. Attractive illustrations and bright colors are great for very young children. Look at the pictures together and say the words with your child. Later you can point at the pictures and ask your child to say the words, or vice versa. Have your child point to the pictures that co relate to the words you say. Animated stories help kids develop reading and listening skills. Songs improve pronunciation and help children learn new words. Songs with actions also help children remember. What should i teach my children first? Let your child pick their favorite topics if possible. Whatever approach you choose, relax and have fun with it.